SUPPORT THE STORYTELLERS. CREATE AN IMPACT. CONNECT WITH CUSTOMERS. Cinequest offers sponsors myriad opportunities to strengthen their brand and reach a tech savvy, culturally refined audience, while empowering film lovers, artists and innovators through sponsoring an array of events: from our Maverick Spirit Award series, to our VIP Soirees, and Innovation forums. Create an impact in the Silicon Valley that will inspire consumers to connect with your brand! As our #1 sponsor, you have the opportunity to officially present Cinequest Film & Creativity Festival, providing you with maximum visibility and exclusive marketing, PR and hospitality packages. In return for empowering every aspect of the festival, you will be included in all communication and advertising measures, and enjoy exclusive opportunities to connect with our diverse and influential audience. Challenge our audience to empower the festival by matching their donations and engage them as supporters of an experience they truly love. The Maverick Spirit Award is the most prestigious award given at the Cinequest Film & Creativity Festival. It acknowledges individuals who use their career to create unique and original work. Sponsor our Maverick Spirit Award Series and be associated with icons such as previous Maverick Spirit guest recipients: Harrison Ford, Neil Gaiman, J.J. Abrams, Kevin Spacey, William H. Macy, Gus Van Sant, Spike Lee, Jennifer Jason Leigh, Sir Ian McKellen, Edward James Olmos, Alec Baldwin and Sir Ben Kingsley. Our VIP Lounge is the premiere place for artists, innovators and audiences to meet, connect and enjoy during the festival. Every night this spectacular film series showcases Cinequest’s film highlights at the palatial California Theatre. Our Feature, Documentary and Short Film Series showcase the world’s latest and greatest cinema and are your chance to help discover filmmakers and present their film premieres. Cinequest’s daily VIP Soirees are the premier gatherings for artists, innovators, executives and film lovers to meet, connect and enjoy culinary delights. Cinequest’s Maverick Meet-Ups bring together a hip and youthful crowd to celebrate after a day full of films, forums and events. Cinequest’s passionate volunteers are the tremendous driving force of the festival. Your sponsorship of the volunteer program will enable Cinequest to show appreciation for their dedication and support. Art and entertainment leaders meet innovation and business leaders for dynamic conversation and visual presentations around cutting-edge topics. 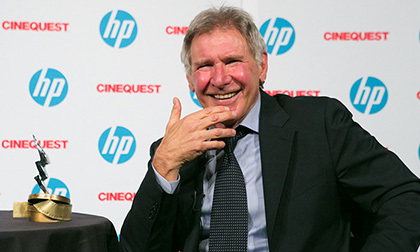 These celebratory events mark the beginning and grand finale of Cinequest, including top film premieres and spectacular parties at world-class venues. This event empowers creative and innovative writers with the opportunity to interact with filmmakers and industry professionals through a dynamic collection of events: writing forums, pitching workshops and the Screenwriting Competition Awards presentation. Previous Maverick Spirit Writers have included: J.J. Abrams, Lawrence Kasdan, Chuck Palahniuk, Neil Gaiman, Philip Kaufman, Michael Arndt, Diablo Cody, Dennis Lehane.